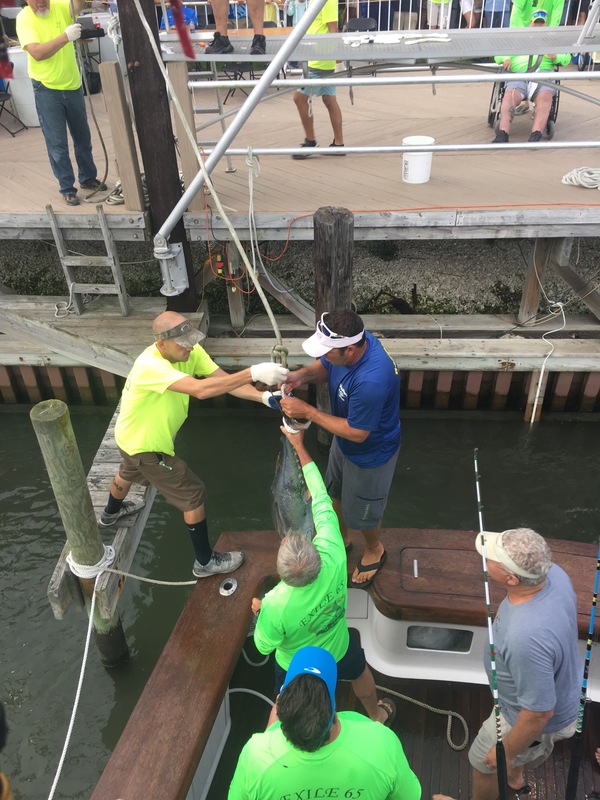 We fished the Mid Atlantic this year on Exile65 out of the Canyon Club in Cape May. Fishing has remained slower overall but we were hoping to get some action on a couple of the right fish this week. Day 1: we ran to the Tom’s Canyon and got into a blue marlin around 300 lbs right away. Jody did great work getting the release and the blue gave us an awesome show from the bite to the fight to the release. Mid day was super slow! 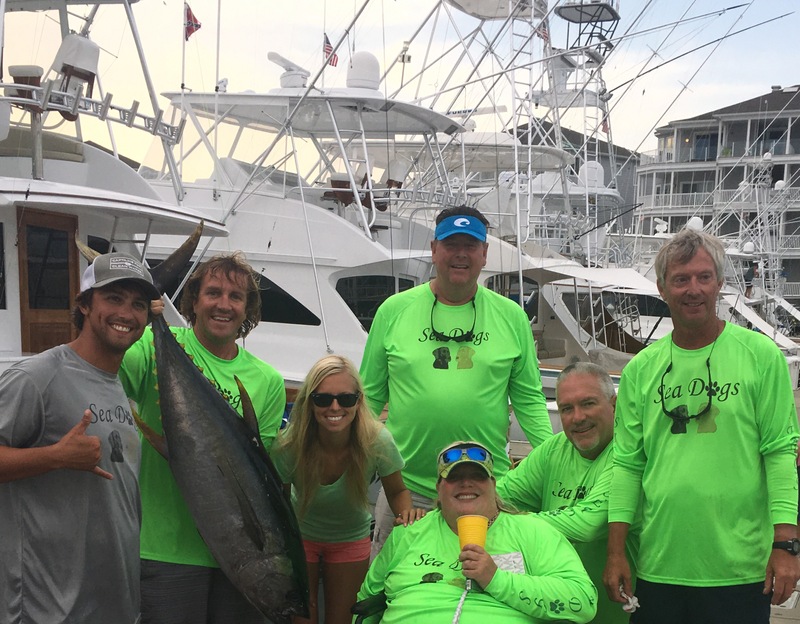 We picked up and ran into the 100 fathom line and lucked out on a yellowfin tuna that we weighed in at 58 lbs. we also got to see the eclipse pretty well on the water today which is something I know I’ll never forget! Day 2: we made the run way offshore to the water located in 1500 fathoms behind the Wilmington canyon. Overall we had a very slow day only being able to find a couple smalll mahi. Later in the day we got our bite and we’re on a solid tuna thatvwe fought for just over an hour and unfortunately pulled the hook. We sprinted back up to where we had the bite and licked out on another one that Richard got boatside quickly. And we headed to the scales for the second day in a row but again fell a little short on weight. Day 3: some quality fish were killed where we fished on day 2 so we ran right back to it. We picked at some mahi throughout the day and ended up 1/2 on white marlin but overall disappointing day for us as well as many others. We had great weather all week and good times as always. Thanks to Mary, Charlie, Jody, Richard, Justin, Casey, and Frank for fishing with me, Joe, and Eric! Hoping we can do it again soon!